Enrico Fermi, the son of a government official, was born in Rome, Italy, on 29th September, 1901. Educated at the University of Pisa he obtained his PhD in 1924. He a appointed professor of physics at the University of Rome in 1927 where he worked with his former student, Emilio Segre on neutron research. This included experiments where elements such as uranium were bombarded with neutrons. By 1935 the two men had discovered slow neutrons, which have properties important to the operation of nuclear reactors. Fermi also carried out investigations into the artificial production of radioactivity and was awarded the Nobel prize in 1938. Married to an Italian Jew, Fermi disapproved of the racist rule of Benito Mussolini and before the outbreak of the Second World War his family emigrated to the United States. Fermi worked at Columbia University and the University of Chicago where he continued his research into nuclear physics. In Chicago in December, 1942, Fermi produced the first nuclear chain reaction. 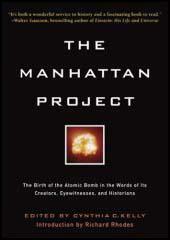 In 1943 Fermi joined the Manhattan Project where he worked with Edward Teller, David Bohm, Robert Oppenheimer, Emilio Segre, Niels Bohr, Otto Frisch, Felix Bloch, Rudolf Peierls, James Franck, James Chadwick, Leo Szilard and Klaus Fuchs in developing the atom bombs dropped on Hiroshima and Nagasaki. After the war Fermi returned to the University of Chicago. Enrico Fermi died of cancer on 28th November, 1954. (1) In the summer of 1939 Werner Heisenberg met Enrico Fermi in Gottingen. "Whatever makes you stay on in Germany?" he asked. "You can't possibly prevent the war, and you will have to do, and take the responsibility for, things which you will hate to do or to be responsible for. If so much anguish might produce the least bit of good, then your remaining there might be understandable. But the chances of this happening are extremely remote. Here you could make a completely fresh start. You see, this whole country has been built up by Europeans, by people who fled their homes because they could not stand the petty restrictions, continuous quarrels and recriminations among small nations, the repression, liberation and revolution and all the misery that goes with it. Here, in a larger and freer country, they could live without being weighed down by the heavy ballast of their historical past. In Italy I was a great man; here I am once again a young physicist, and that is incomparably more exciting. Why don't you cast off all that ballast, too, and start anew? In America you can play your part in the great advance of science. Why renounce so much happiness?" "I don't think I have much choice in the matter" I replied. "I firmly believe that one must be consistent. Every one of us is born into a certain environment very early in life, he will feel most at home and do his best work in that environment. Now history teaches us that, sooner or later, every country is shaken by revolutions and wars; and whole populations obviously cannot migrate every time there is a threat of such upheavals. People must learn to prevent catastrophes, not to run away from them. Perhaps we ought even to insist that everyone brave what storms there are in his own country, because in that way we might encourage people to stop the rot before it can spread." 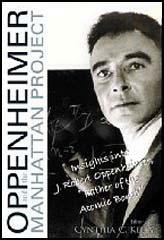 (2) Robert Oppenheimer, interviewed for a television documentary in 1965.